The air pollution such as PM2.5 has been one of the most important environmental factors that cause the global disease burden. The simulation of the spatiotemporal distribution of PM2.5 concentration is the basis for its health risk analysis. Land Use regression (LUR) is an effective means to simulate the spatiotemporal distribution of PM2.5, but it was limited at inner urban scale. In recent years, some researchers have successfully constructed the national LUR model with the satellite remote sensing data. In China, however, there have been no relevant reports. 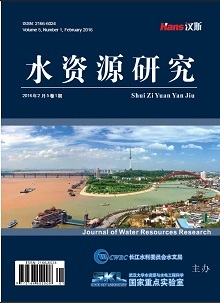 In this study, the spatiotemporal distribution of Chinese PM2.5 concentration in 2013-2015 were simulated based on the satellite-based LUR model: R2 of LUR model with and without remote sensing are 0.7 and 0.55; the meteorological variables play an important role in this model; PM2.5 decreases year by year and introduction of year factor achieved good results; the PM2.5 concentration distribution in China is drawn, providing the basis for the subsequent effects of exposure to PM2.5 in China. Hidy, G.M., Brook, J.R., Chow, J.C., et al. 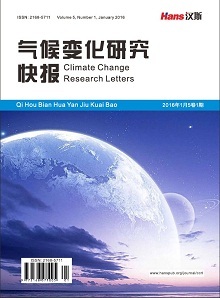 (2009) Remote Sensing of Particulate Pollution from Space: Have We Reached the Promised Land? Air Repair, 59, 642-644. Tibshirani, R. (1996) Regression Shrinkage and Selection via the Lasso. Journal of the Royal Statistical Society. Series B (Methodological), 58, 267-288.